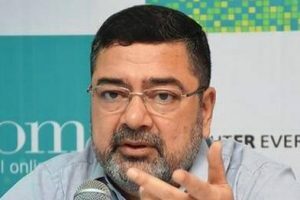 Smartphones have changed the way we think about cell phones, because they are no longer just a communication device. A great example of this is mobile first businesses that rely on these devices to carry out almost every task in their organization. For these businesses, cell phone reception is extremely important. 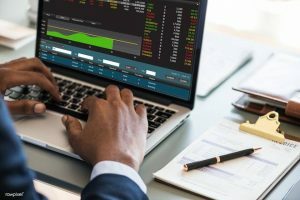 Whether the phone is being used on premises or outside of the office, a strong reception is critical to talk, conference, text as well as access data services, cloud applications and more. With the right cell phone booster, any problems you might be experiencing because of a weak reception will be a thing of the past. So why should you buy a cell phone booster? 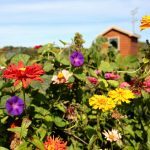 Even though telecoms have done a good job of deploying cell phone towers to cover all of the areas in which they provide service, there are always pockets within these areas that have weak reception. Even if your business is located in area with excellent reception, you can also land in these pockets of low reception while commuting back and forth to work or taking a work-related business trip. Weak reception also drains your battery because the phone is continually searching for the best, most reliable signal, and the longer it searches, the more power it uses. 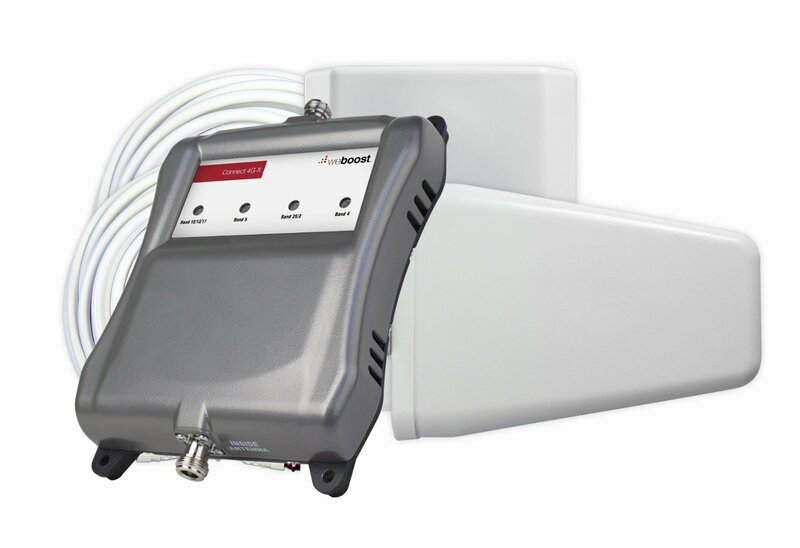 If you want to know what you should look for in a signal booster, click here. For a list of the best signal boosters for your phone, see the list below. weBoost is one of the most recognized brands in the market, and has a wide range of devices for multiple applications. 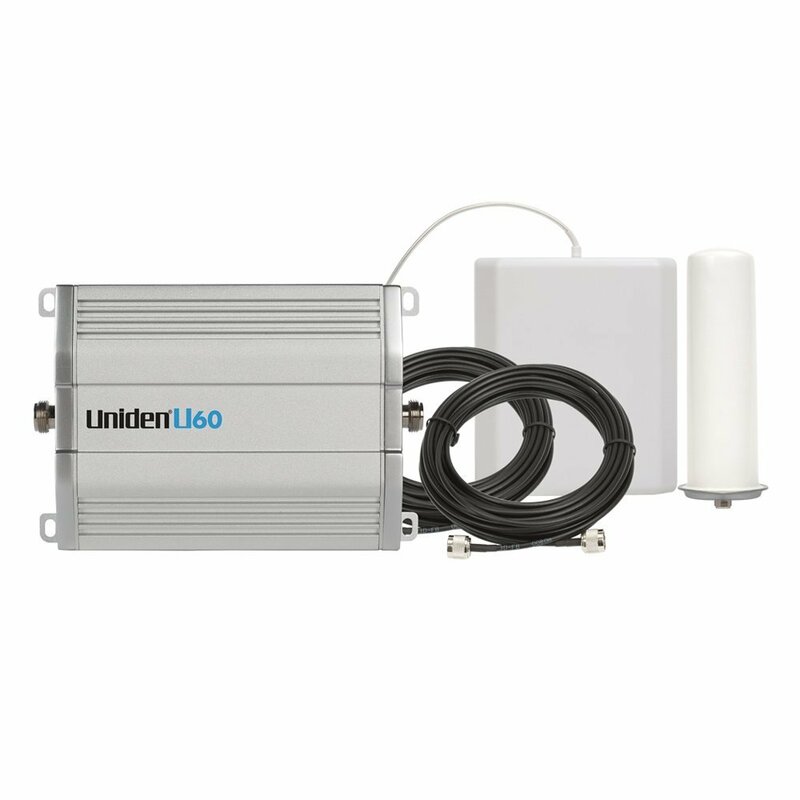 The EQO is designed for quick and easy installation to enhance 4G LTE and 3G signals for homes, apartments or condos up to 1,200 sq. ft. It works on Verizon, AT&T, Sprint, T-Mobile, US Cellular, Straight Talk and more at a cost of $349.99. According to the company, it boosts cell signals up to 32 times and it comes with a 2-year warranty and 30-day money-back guarantee. The Smoothtalker Mobile X1 has multiple configurations for buildings and vehicles of all sizes. 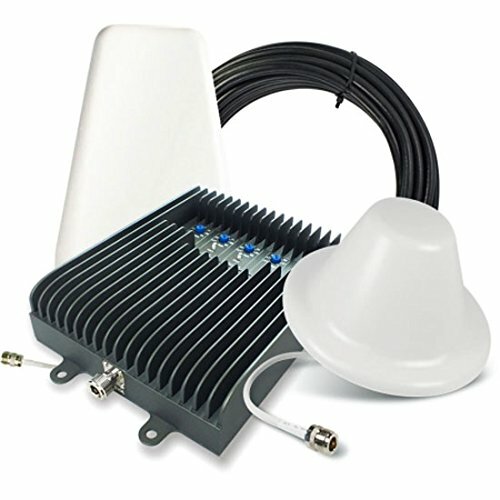 The X1 50RV 50dB, with a list price of $395.99, is a high power RV/motorhome or large vehicle booster kit that does not require a physical connection to the cell phone or cellular data device. Once it is plugged in, it boosts the signal to all cell phones and cellular devices within range at the same time. The Drive 4G-S is another booster for vehicles at a lower price point than the Smoothtalker — just 199.99. 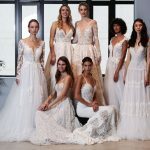 However, the lower price doesn’t compromise on quality and functionality, the company says. 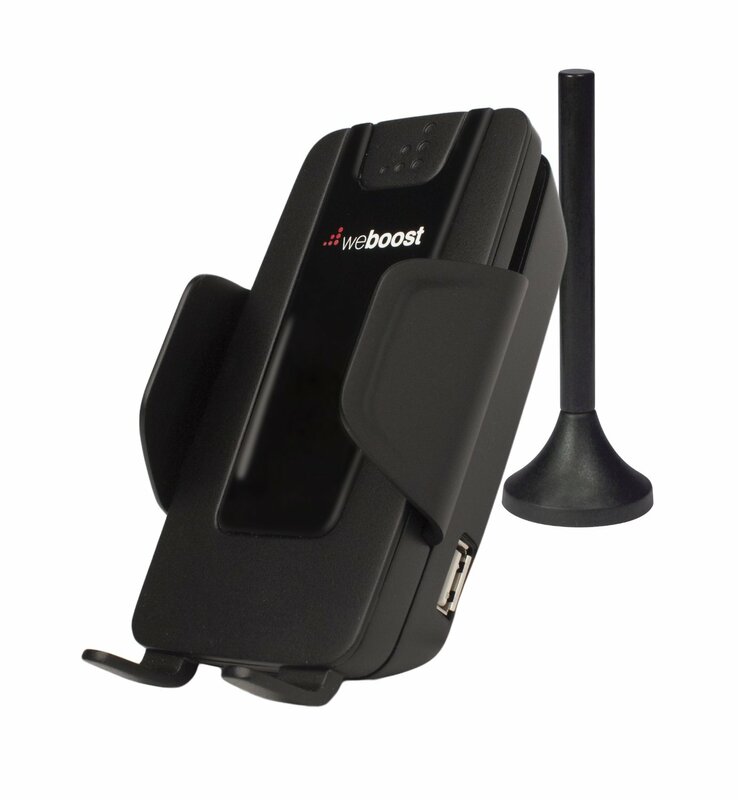 This is the most affordable 4G vehicle cell phone signal booster weBoost makes. It also boosts 4G LTE and 3G signals up to 32 times for a single person. It works on all the major carriers and provides up to 2 hours additional talk time in weak-signal areas. 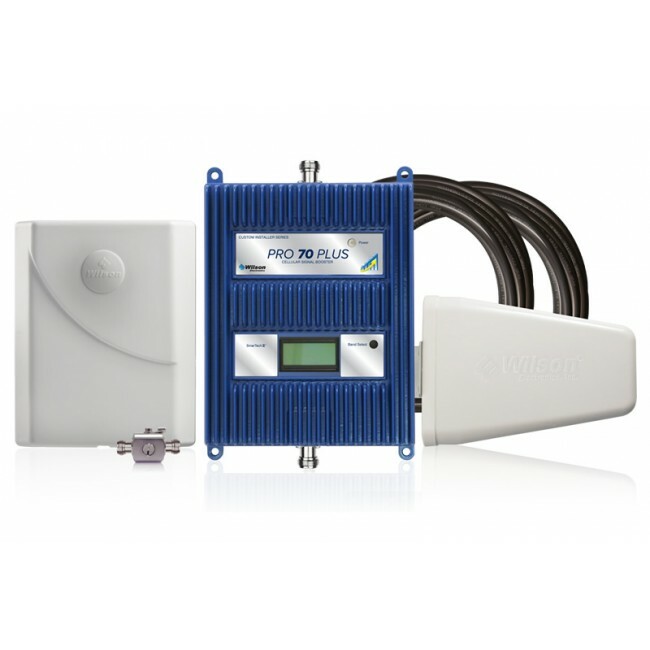 The Fusion5s is a 2G, 3G and 4G LTE home signal booster, which according to the company is the first five-band cellular booster compliant with new FCC Certification standards. 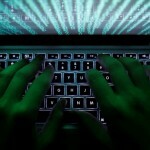 It controls all carrier frequencies independently and it covers 5 to 10 simultaneous users in a 6,000 square foot area. But it also carries a $849.99 price tag, so this might not be a choice for smaller more budget conscious businesses. Many truck drivers are small business operators, and the Drive 4G-X is an OTR (over the road) signal booster that might suit them. The booster can work for up to four devices and costs $499.99. 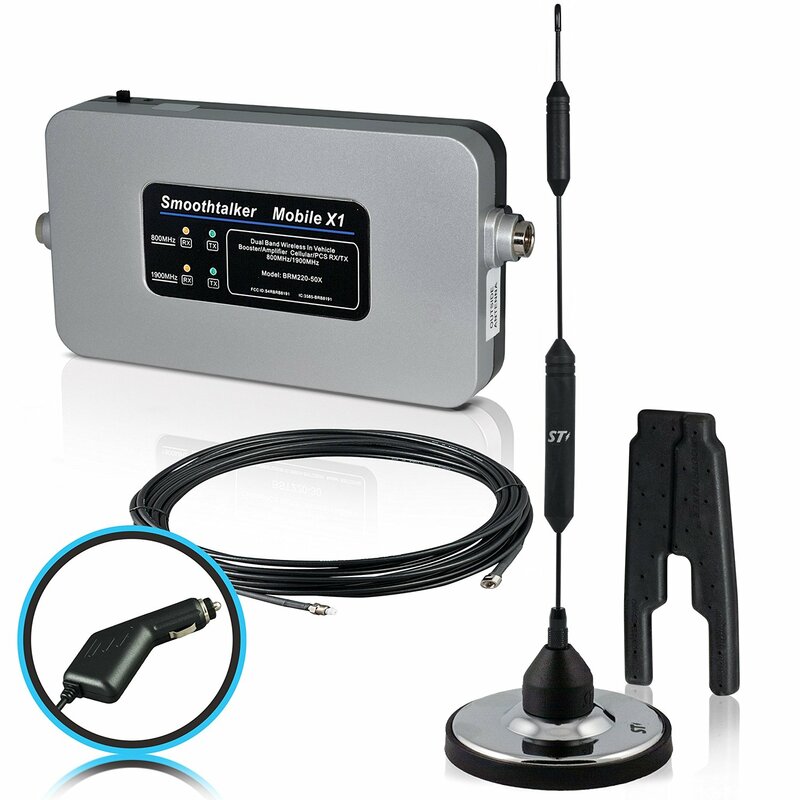 It enhances 4G LTE and 3G signals up to 32 times for everyone in the vehicle works with all the major carriers. The Drive 4G-X has an omni-directional antenna that boosts voice and data with the maximum FCC-allowance of 50 dB system gain. Because of this, the company says it gives drivers fewer dead zones or lost connections and faster downloads and uploads, as well as better audio quality. The U60 comes with a 60 Day satisfaction guarantee, 2-Year warranty and lifetime service and technical support. 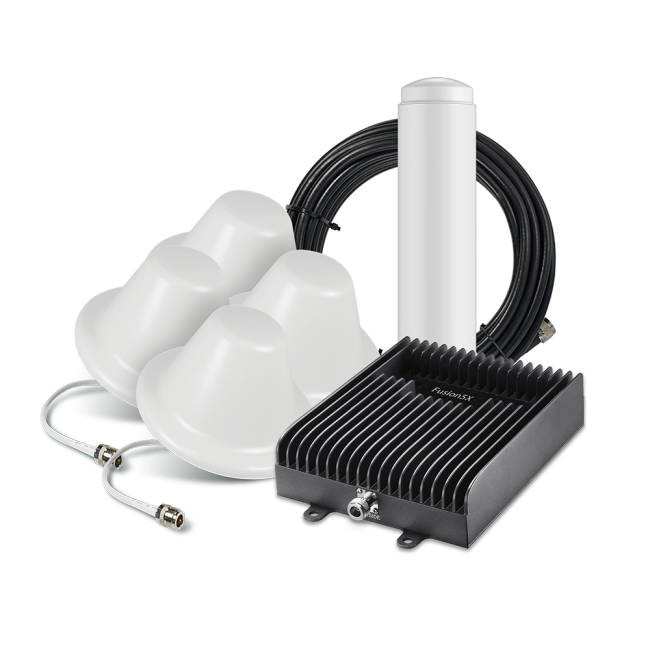 The support the company provides is for a device with an omnidirectional outdoor antenna to capture signals for all 3G and some 4G networks. It has a 2,000 sq. ft. capacity for your home or office and can handle up to 20 devices simultaneously. The boosters cost is $449.99. The Stealth X2 has an impressive 7,000 sq. ft. of coverage for less than $600 — a suggested price of $549.99 more specifically. 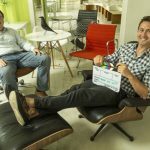 The company says it is the highest powered 65 dB building booster on the market, providing boosts for locations that are 10 to 35 miles from the nearest cell towers. 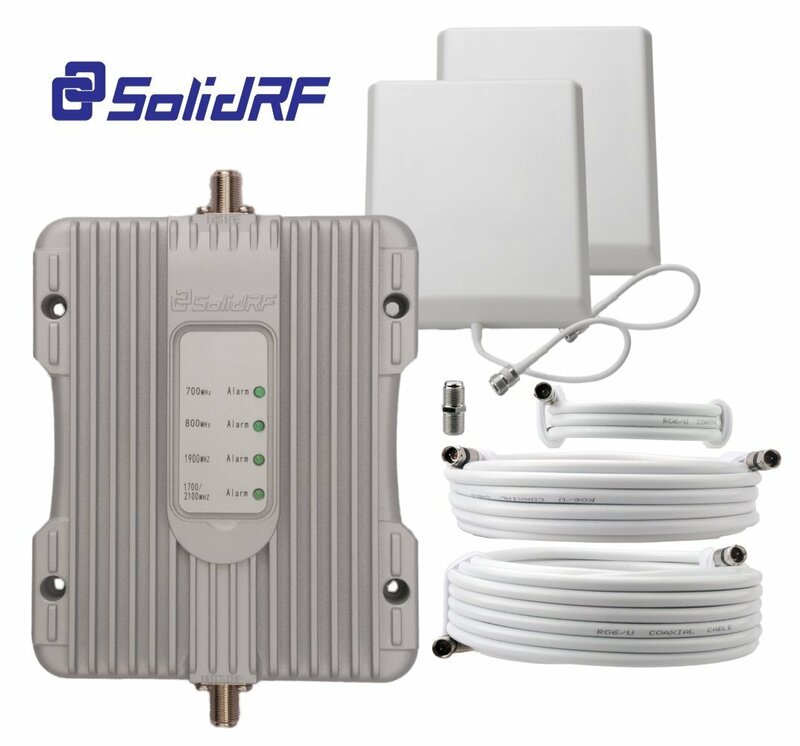 The automatic oscillation control and network overload protection maintain maximum gain at all times using the 170 degree directional outside and inside antennas automatically. 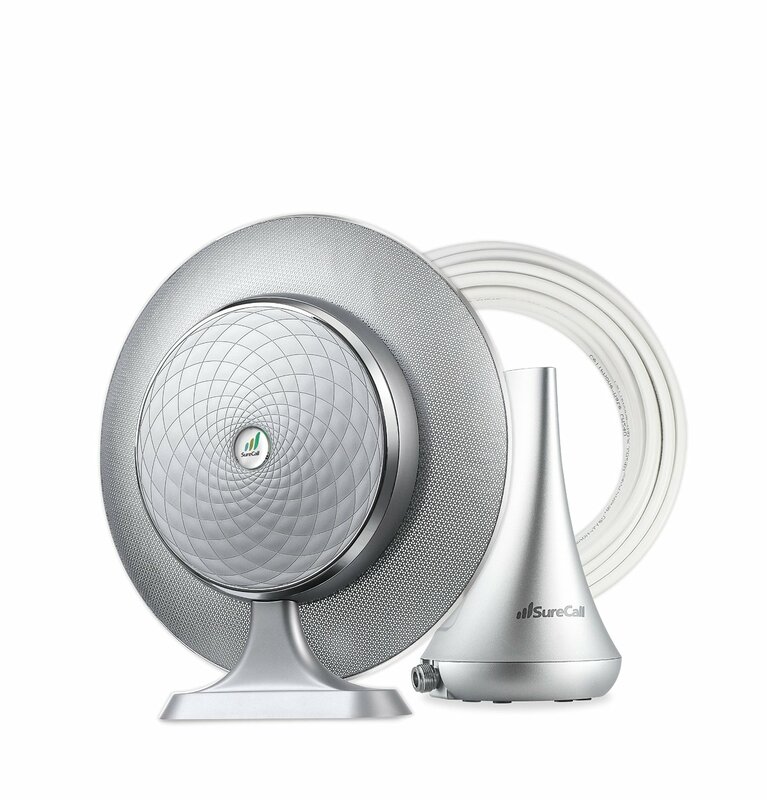 The BuildingForce 4G-M booster connects more than 25 mobile devices and works with all 2G, 3G, 4G and LTE signal networks in the US and Canada — impressive given its cost of just $349.99. 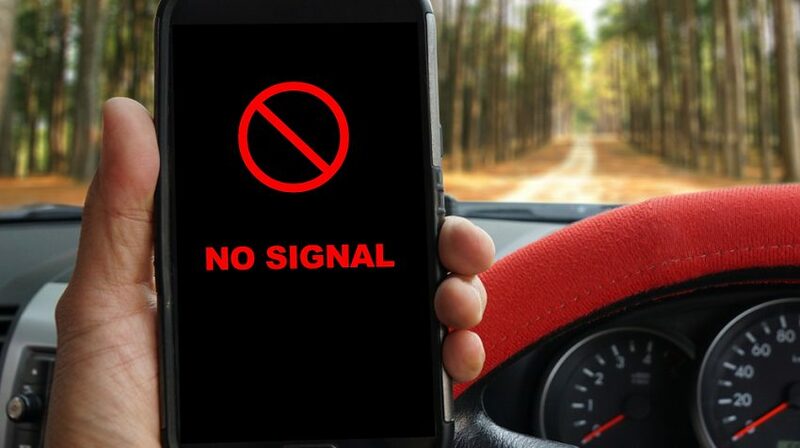 An automatic gain control feature ensures reliable coverage even with an intermittent incoming signal. If there is a strong outside signal, the booster covers up to 1,500 sq. ft, but with a medium or weak outside signal, it covers up to 800 and 200 sq. ft., respectively. The Connect 4G covers 5,000 sq. ft. and features a dynamic, self-adjusting gain control for each frequency band automatically. 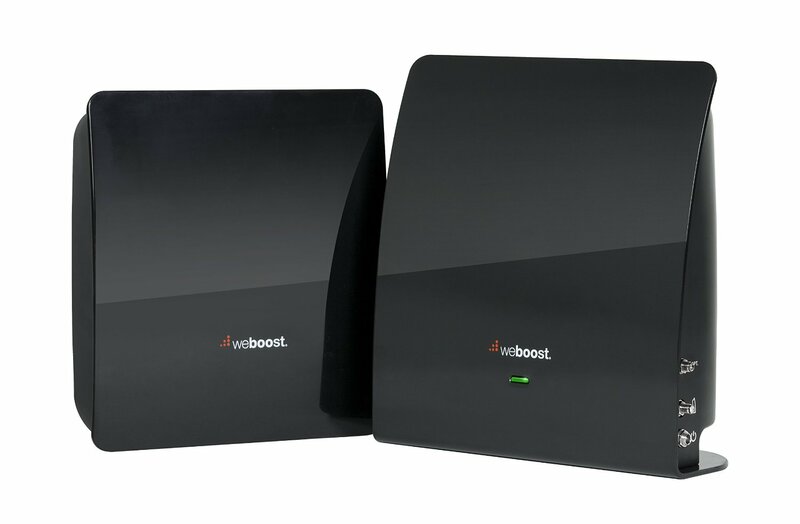 Like the other weBoost units, it works on all the major carriers with cellular signal improvement of up to 32 times. And the recommended price for the Connect 4G is $549.99. 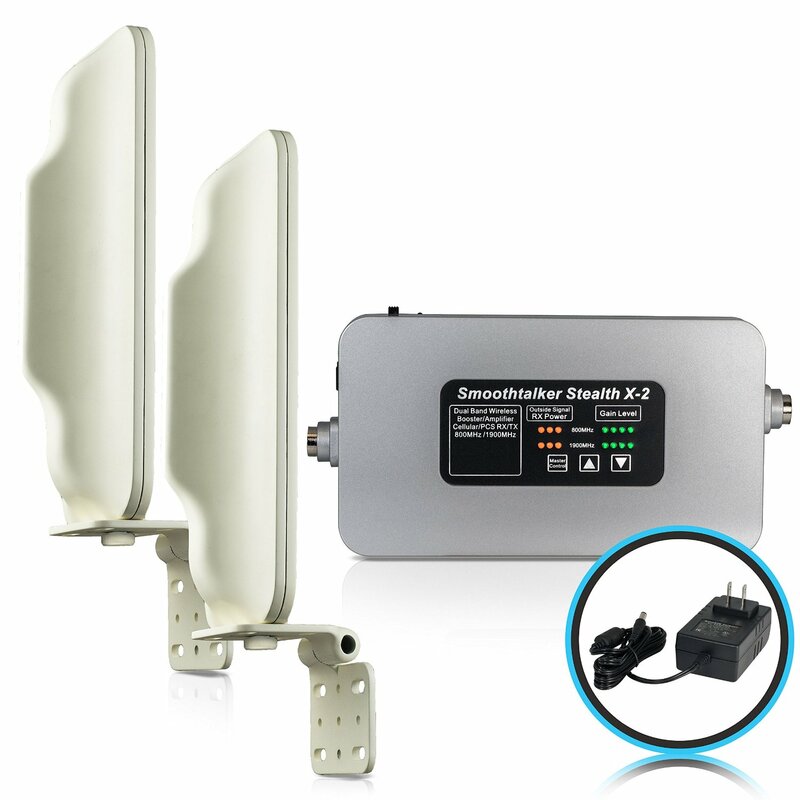 The EZ 4G LTE has an indoor panel antenna with a five band manually adjustable signal booster. The plug and play feature makes it that much easier to install and use out of the box, the manufacturer says. It has a coverage area of up to 3,000 sq. ft., with support for CDMA, WCDMA, GSM, EDGE, HSPA+, EVDO, LTE and all cellular standards. But at $740.00 you’ll have to decide if features are something your business can afford. If the indoor reception in your office is weak, this plug-and-play booster indoor unit covers an area of up to 2,000 sq. ft. It improves 4G LTE voice, data and text signals for all North American cell carriers without an external antenna. And at $298.06 it is a bit more affordable than some other options. This particular weBoost model covers up to 7,500 sq. ft. 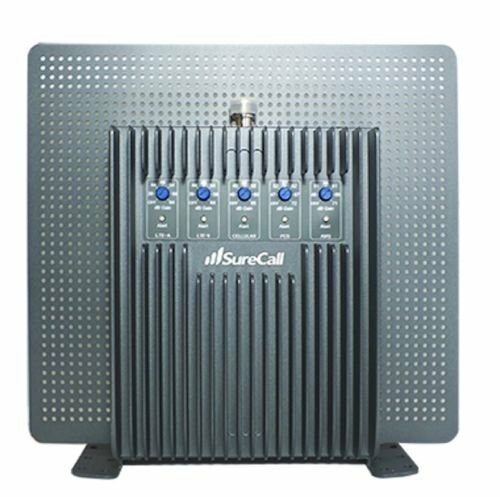 It amplifies cellular signals throughout a large workplace or home on all cellular-connected devices. 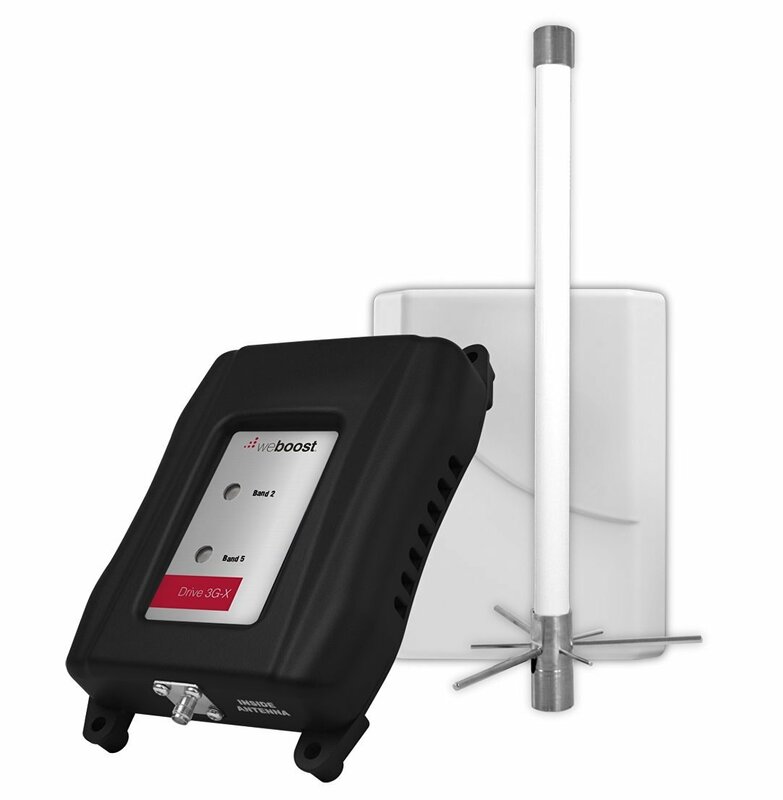 The increased area capability also comes with all of the weBoost features, including 4G LTE and 3G signal improvement for all major carriers, a 2-year warranty, and 30 day money back guarantee. But at $899.97, you’ll need to decide whether you really need these heavy duty features. 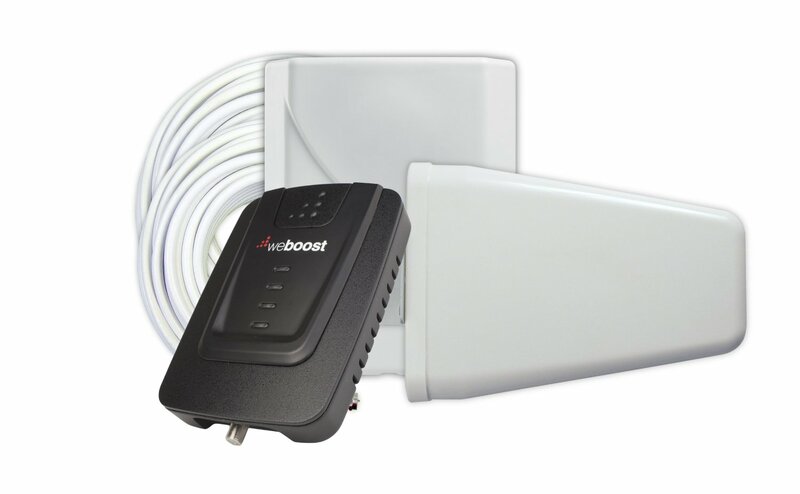 If you are a small business running a day cruise on a ship, the weBoost Drive 3G-XR marine antenna booster can extend your service range up to 50 percent further than other boosters on the market. It achieves this capability by operating with the maximum output power allowed under current Federal Communications Commission regulations and supports all US and Canadian cell carriers all for a fairly reasonable cost — $399.99. The Fusion5X has four inside antennas for maximum coverage, which can go as high as 20,000 sq. ft. The 5X provides the highest downlink allowed by the FCC, allowing it to turn strong outside signals into a wide area of coverage inside. 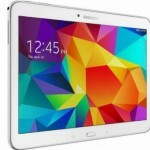 It supports 2G, 3G, and 4G LTE on AT&T, Verizon, Sprint, T-Mobile, and US Cellular. But you’ll pay $1,699 for these features. This particular Wilson model covers an area of up to 50,000 sq. ft. inside of a building with a strong outside signal. 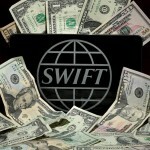 It supports the 2G, 3G and 4G LTE networks from most of the carriers in the United States and Canada. According to the company, before it overloads it has the ability to boost an outside signal that is 10 db stronger than any other booster on the market, which can potentially increase an area of interior coverage up to 6x the size of any other booster. You’ll need to register for a Wilson Amplifiers account for pricing information on this one. Since a good quality booster will cost you several hundred dollars, call the company and ask questions relevant to how you will be using the device. This should include support and warranty information for the device you are going to be buying. And as always, comparison shop online with different retailers and brands too get the best value.